Should the Ottawa Senators Worry About Anderson's Struggles? Should Senators Worry About Anderson’s Struggles? The Ottawa Senators have a number of players who need new contracts this offseason, but one of the biggest question marks this summer concerns a player who is signed for the next two years. 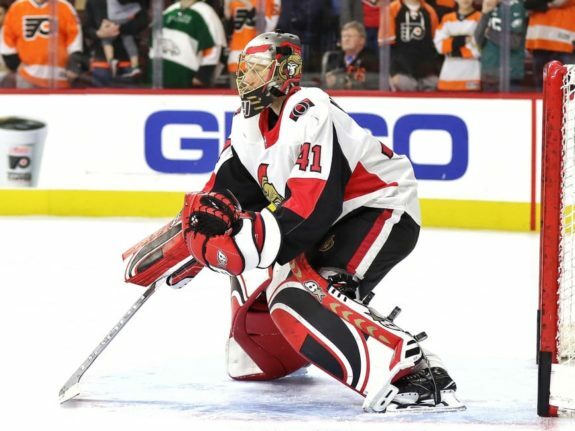 Craig Anderson’s contract extension, which he signed prior to the start of the season, was meant to shore up the Senators’ goaltending situation for the next few years. Between this and Mike Condon’s three-year deal, it looked like the organization was setting up for one of the team’s goaltending prospects to take the reins in 2020. There were some concerns about Anderson’s age at the time of the signing, as 36-year-old goalies don’t tend to get offered multi-year contracts. Despite this, Anderson’s incredible play during Ottawa’s playoff run in 2017 gave management reason to trust their starting goalie going forward. Unfortunately for the Senators, this season has only added fuel to fire for those who think Anderson is long past his prime. While Anderson’s career shows a clear pattern of following stellar seasons with weak ones, this year has been particularly concerning. Anderson is having his worst statistical season as a Senator, with a save percentage hovering around .900 and a goals against average over three. The big question the Senators face this offseason is whether or not they think this was just an off year, or the end of Anderson’s career. When general manager Pierre Dorion added Mike Condon last season, it looked like a desperate move to keep the team afloat during Anderson’s leave of absence. Anderson ended missing over two months, and Condon’s play helped keep the Sens competitive by the time he returned. This was enough to earn Condon a $7.2 million contract. Since Anderson has missed large portions of past seasons because of injuries or personal reasons, it was important for the Senators to have a reliable backup plan in net. While Condon looked ready to take on a starter’s role last year, this season has been an entirely different story. Condon has struggled more than Anderson in his 24 starts this season. This has thrown a wrench in the Senators’ plan to give the 27-year-old a heavier workload if things went sideways with Anderson. Condon’s contract is structured in a way that increases his salary each season. By 2020, he will earn $3 million, more than a backup typically makes. While the Senators probably weren’t counting on Condon becoming the goalie of the future, it looks like they were at least expecting him to get a large share of starts over the next few seasons. The Senators have taken some steps to secure their future between the pipes, but these moves were made under the assumption that their current goaltending tandem would last a few more seasons. The young guys have had trouble keeping the starter’s job for the Belleville Senators, and 31-year-old journeyman Danny Taylor has been given the bulk of the starts for Ottawa’s farm team. 23-year-old Chris Driedger has struggled to stay healthy this year and has split his time between the AHL and ECHL. Marcus Hogberg has also bounced around these two leagues, but he’s not the only one who can take the blame for his inconsistency. Belleville’s season has been almost as ugly as that of their parent team, sitting well outside of the Calder Cup playoff race. This has led to the team’s goalies facing a ton of shots every night. To shore up their future in net, the Sens added World Juniors standout Filip Gustavsson in the Derick Brassard trade. Gustavsson arrived in Canada last week following Luleå HF’s elimination from the SHL playoffs and will take the rest of the year to get adjusted to the North American game. Goaltending prospects are hard to evaluate, but Gustavsson seems to have all the makings of a future NHL starter. 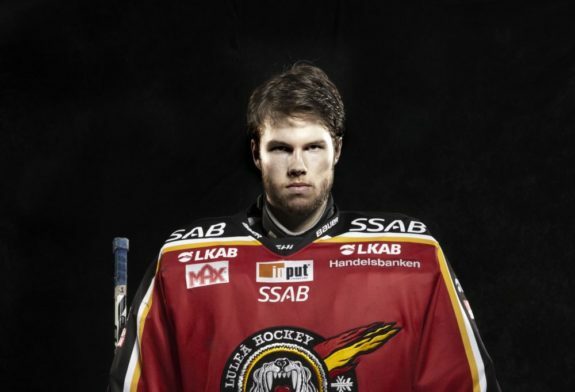 However, since he is only 19, it’s incredibly unlikely Gustavsson will be ready to jump into the NHL next year. This forces the Senators to decide whether or not they want to address their current goaltending problems through a trade, as the team’s budget makes a big free-agency signing unlikely. Since both Condon and Anderson have fallen short of expectations, a trade might look like a smart move. However, trading one of these two also comes with a fair amount of risk. Both Senators goalies have seen their trade value decrease significantly over the course of the last few months, and Dorion can’t afford to sell low. It’s for this reason that Dorion might have to stand pat and hope that Anderson will bounce back next fall, as he tends to do following a bad year. This, of course, would be a lot easier for Anderson to do if the team was not consistently outplayed at even strength. 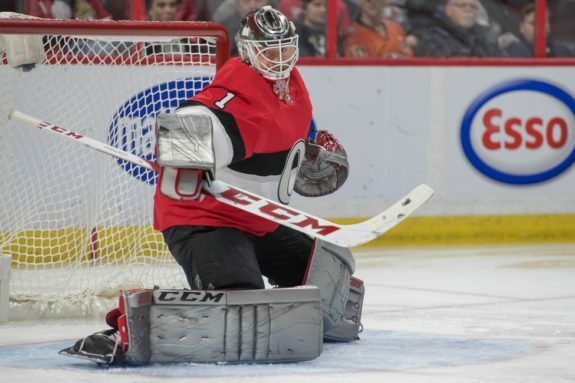 Ottawa’s problems go deeper than just goaltending, but if the team’s past success is any indication, they need more from their starter to be competitive next year.